The National Bank of Ukraine (NBU) in January will not significantly weaken monetary policy, but by the end of the year the refinancing rate could fall to 15-17% from 18% per annum, according to bankers interviewed by Interfax-Ukraine. 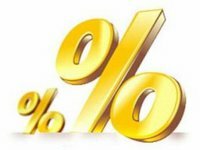 Thus, according to Serhiy Naumov, the chairman of the board of Piraeus Bank, in the near future the refinancing rate could be reduced by no more than 0.5%. "I think that the refinancing rate will soon be reduced by 0.5%, not more. The main reason is the trend towards lower inflation, as well as the need to give the market a positive signal and thereby try to create conditions for lending to the economy," the banker said. At the same time, he added that the possible deterioration of the inflation forecast by the central bank in 2019 would not significantly affect the NBU's plans to weaken monetary policy. "The deterioration of the inflation forecast is not critical in this case. The main thing is that inflation is forecast in one-digit figure and it will be less than last year. I think we'll fulfill this forecast. Therefore, the NBU assumes that the refinancing rate will decrease," he said. According to Naumov, in general, in 2019 the refinancing rate could both decrease and increase: a possible decrease will occur in the spring-summer period, an increase in autumn. "In general, in 2019, I expect an average rate of 15-16% per annum," he added. Chairman of the board of IBOX Bank Halyna Kheilo believes that in January the refinancing rate will remain unchanged. "I see no reason for lowering the refinancing rate in January. In 2019, peak payments on external debt are coming, inflationary pressure is still significant. Aggravating political struggle on the eve of the presidential elections could increase pressure on the hryvnia exchange rate," she said.